Avingard’s trek back to Solitude was uneventful. The sun had given way to dark clouds, which dropped snow in the higher elevation, and then rain when Avingard descended down to the road leading to Solitude. By the time Avingard arrived at the gates to Solitude he was soaking wet. As he began to feel the cold from the rain, Avingard sped up his pace until he reached Castle Dour, and quickly entered. 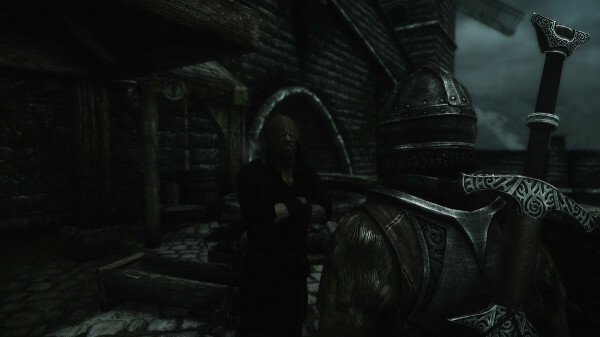 As Avingard approached Legate Rikke and General Tullius were have a very serious conversation about their plans to combat the Stormcloak rebellion. “So what – Ulfric gets this crown and then suddenly he’s High King?” General Tullius questioned. “And we gave it to Elisif?” General Tullius interrupted. “In the absence of the Moot, it would further legitimize her claim,” Legate Rikke said. “It won’t be a waste,” Legate Rikke assured the General. Avingard nodded to Rikke to acknowledge here approval of the task completion. Avingard the walks toward General Tullius, who was attentively listening to Legate Rikke express her satisfaction with the completion of the task she had given to Avingard. “I’m ready to take the Oath,” replies Avingard intently. “Well, then. Repeat after me,” General Tullius begins the Oath, to which Avingard repeats after him. Upon my honor I do swear undying loyalty to the Emperor, Titus Mede II and unwavering obedience to the officers of his great Empire. May those above judge me, and those below take me, if I fail in my duty. Long live the Emperor! Long live the Empire! General Tullius about to administer the Imperial Legion oath to Avingard. Avingard then turns to Legate Rikke and asks about the special assignment. Not wanting to waste more the Legate Rikke’s time, Avingard thanks her for the information and then heads out of Castle Dour to find Beirand. Walking down the main road in Solitude, towards to gates, he eventually notices a forge above the road, just at the top of a ramp. Waling up to the top, Avingard notices a large Nord tanning some leather. Beirand at his Forge providing Avingard with his Imperial Legion armor. Avingard thanks Beirand for the armor and then suits up, replacing his old steel armor for the new Imperial Legion armor. Not needing his old armor, plus it was heavy to carry around, he returns to Beirand and sells what he can. While knowing the task of the Jagged Crown needs to be done as quickly as possible, Avingard quickly finds someone to trim back his hair, while at the same time he quickly shaves off his facial hair. 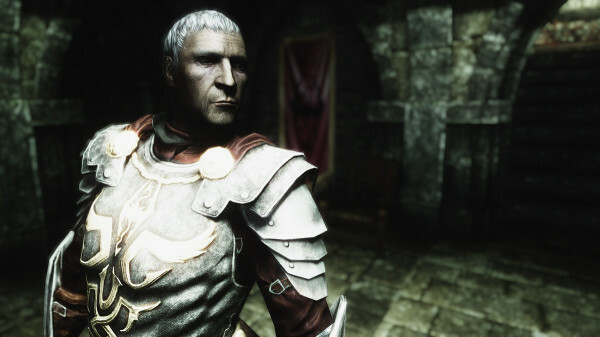 Avingard was now ready to join Legate Rikke’s soldiers in retrieving the Jagged Crown. Avingard – Imperial Legion Auxiliary. By the time Avingard left Solitude, the rain had gone and the clouds had given way to the sun. 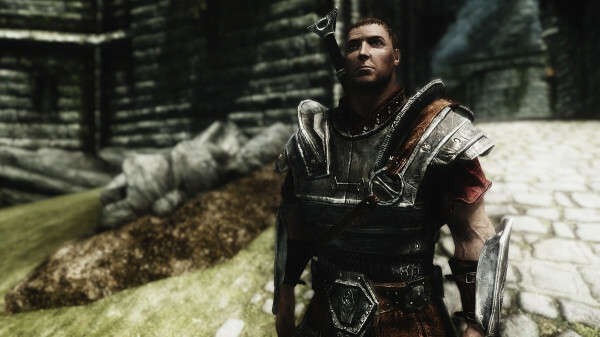 The warm sun felt good to Avingard as he left Solitude to begin his service to the Empire, against the Stormcloaks, in the divided province of Skyrim.